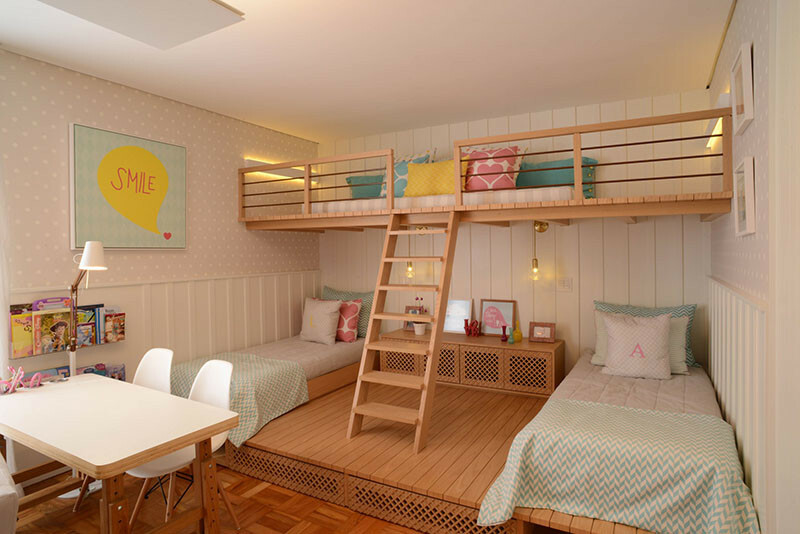 When Cadas Arquitetura were asked to design an apartment for a family in Sao Paulo, Brazil, they decided to create a fun room for the girls, with a playspace in a loft above the beds. 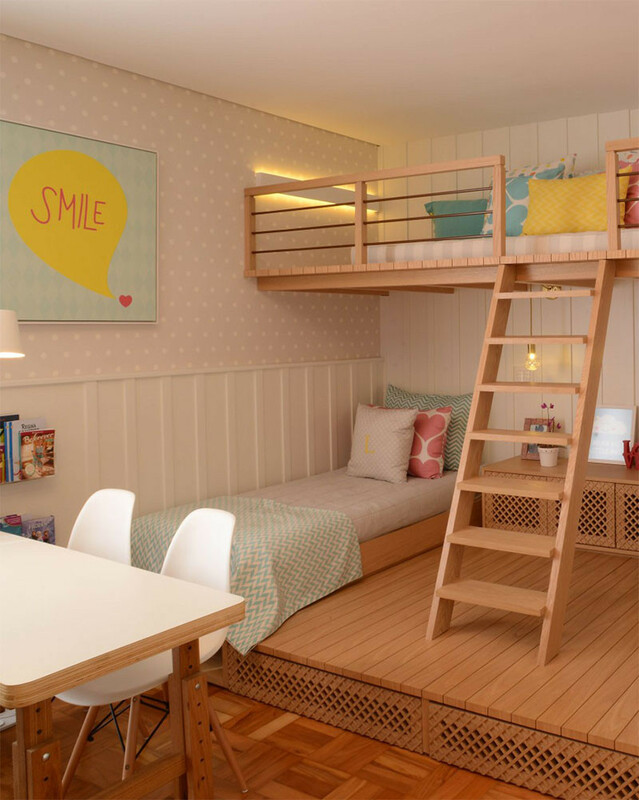 The two beds are matching and they share a cabinet that is positioned between the beds as a side table. 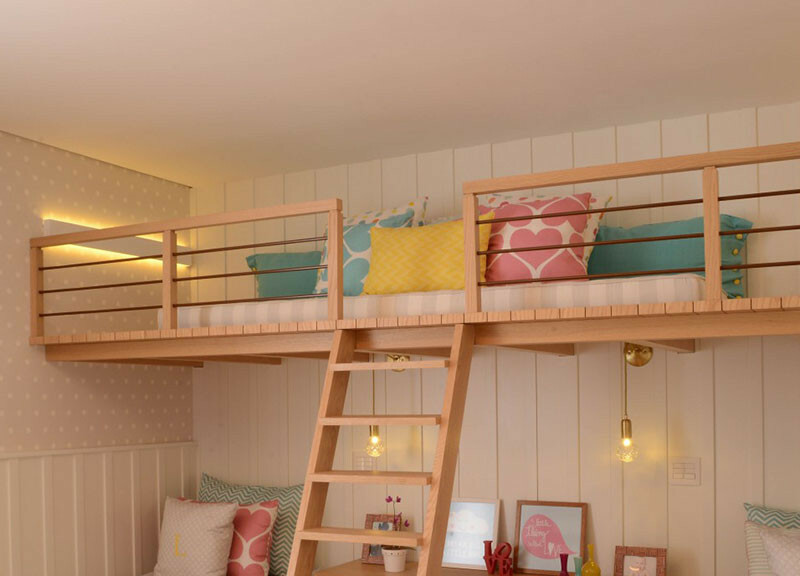 Each bed has a small pendant light as a bedside lamp. 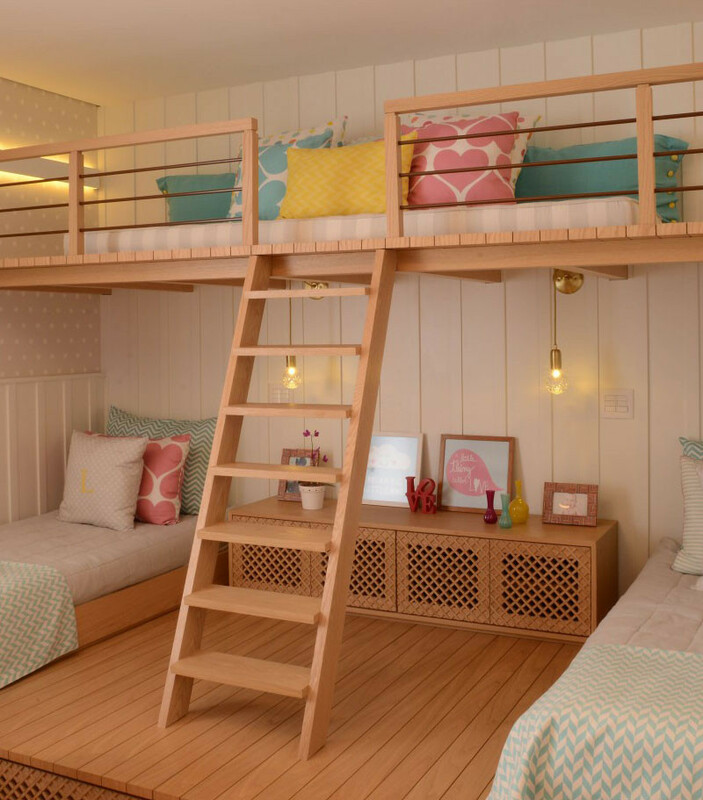 The beds are raised up on a platform, that provides extra storage, with the storage design matching the cabinet. 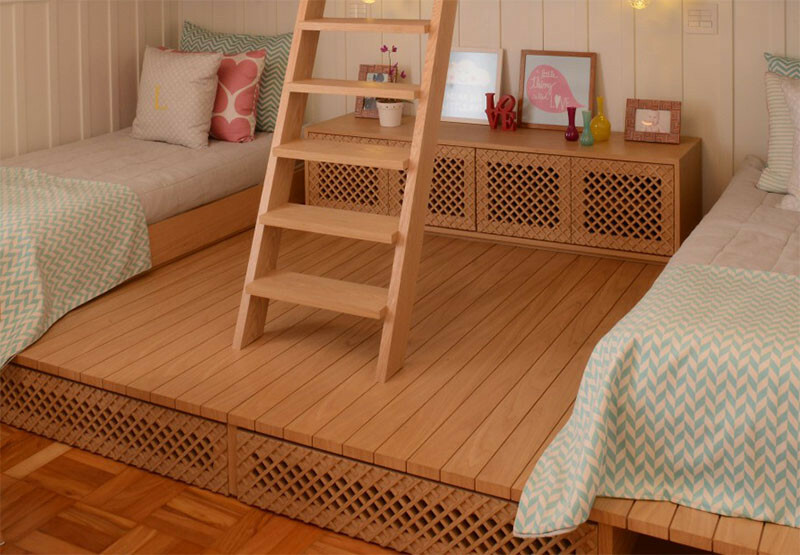 On the platform, there’s a ladder that leads up to the lofted playspace. 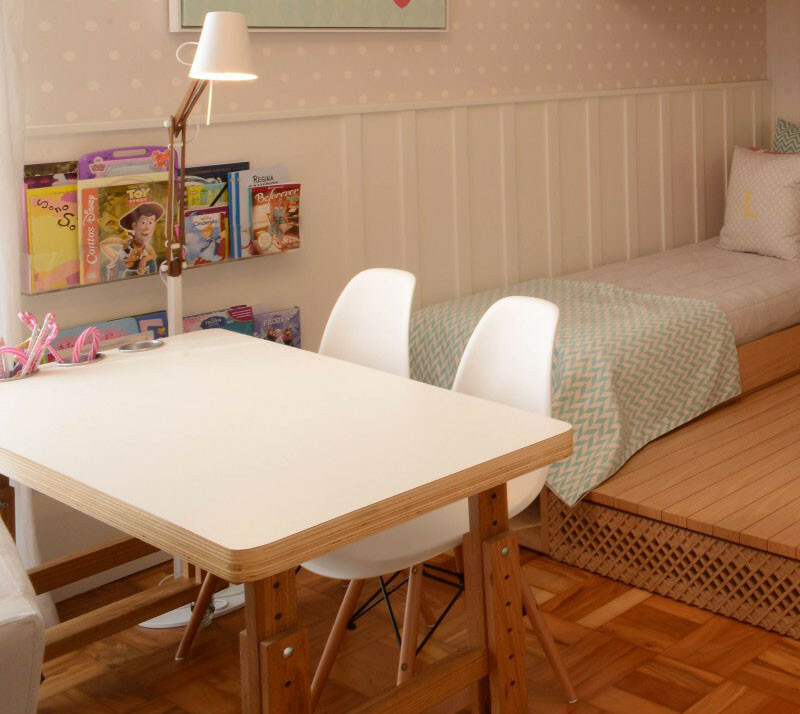 If needed, the playspace could also double as extra space for when friends sleep over. 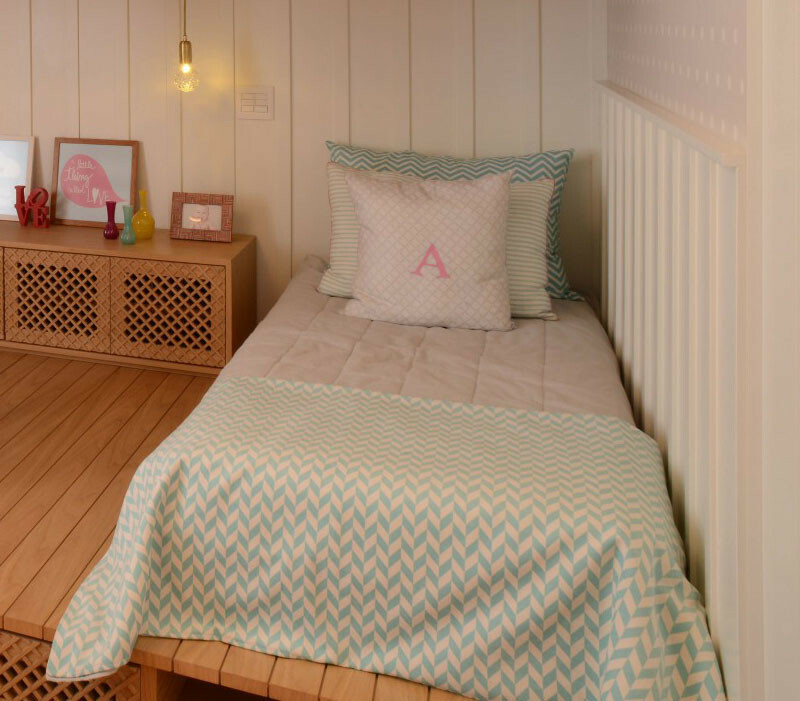 Back on the main level, there’s a desk at the end of the beds. 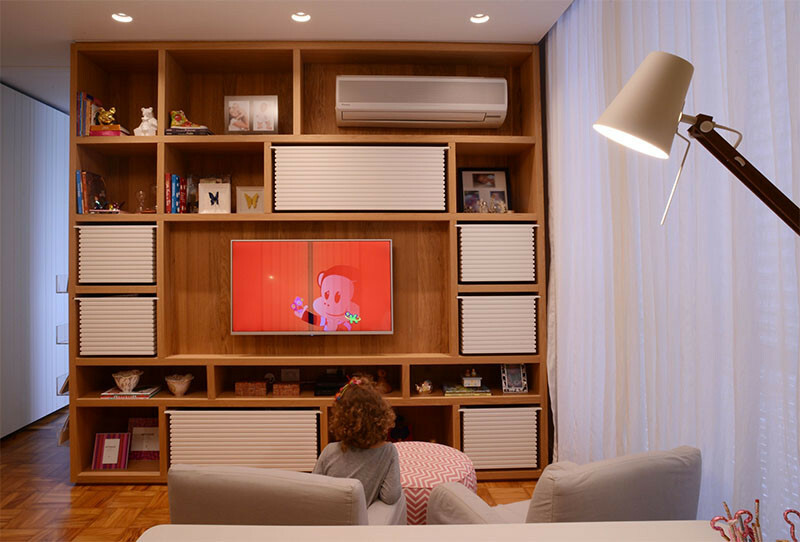 Beyond the desk, and opposite the beds and playspace, is this entertainment and storage wall, that has white textured drawers that slide out.